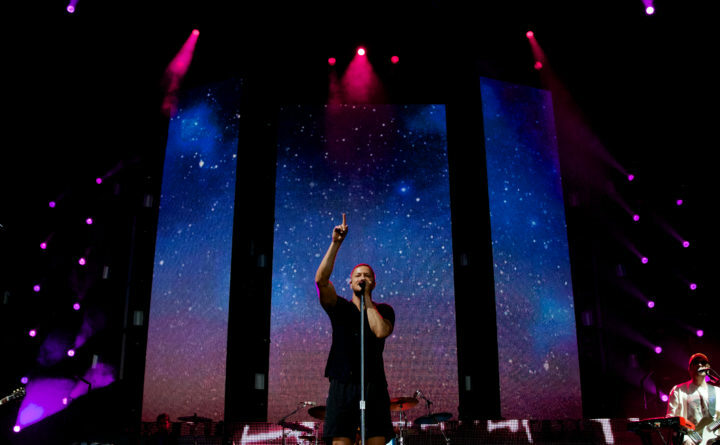 Imagine Dragons performed at the Darling's Waterfront Pavilion on Friday, June 8. Opening for the band was Grace VanderWaal. Sixteen thousand people crowded into the Darling’s Waterfront Pavilion in Bangor for a sold-out Friday night concert by multi-platinum radio darlings Imagine Dragons. 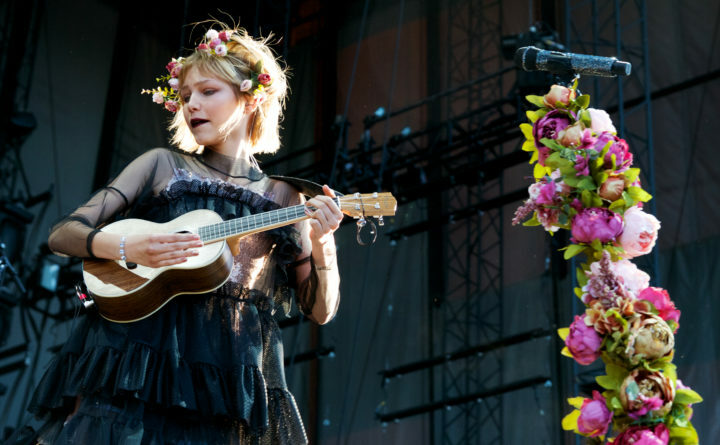 The show, the third so far in the 2018 Waterfront Concerts season, was one of the most anticipated of the summer. Friday’s concert commanded a unique mix of ages, with much of the crowd composed of young people of middle and high school age, many of whom were in attendance with family members. 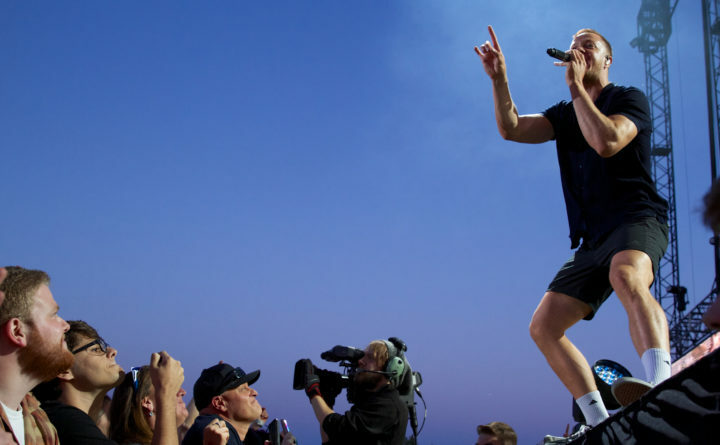 Boasting an impressive stage show complete with floor to ceiling digital projections, regular confetti drops on the audience and balloons near the end, the high energy frontman Dan Reynolds ran around the stage, communicating with the audience between songs. 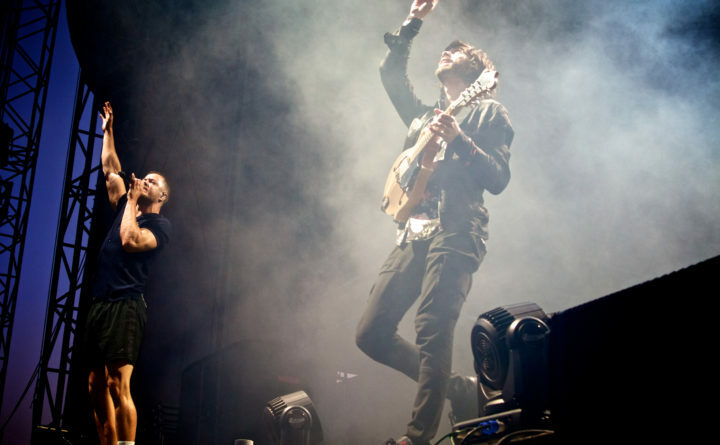 The band’s more recent songs blend hip hop and EDM influences with the alt-rock of their earlier work, and many members of the audience spent the night dancing in their seats. 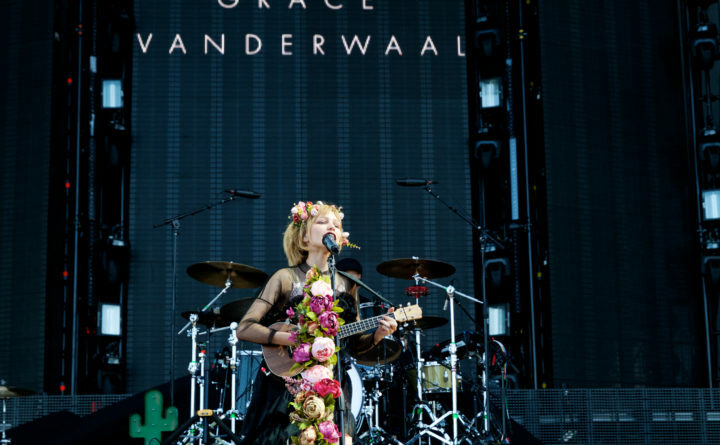 Opening for Imagine Dragons was Grace VanderWaal, a 14-year-old singer-songwriter who shot to fame through her YouTube videos of her playing ukulele and singing, and her 2016 win on “America’s Got Talent.” Though she’s barely high school age, her mature, dynamic vocals have garnered her many fans — including several young concert-goers at the Bangor concert, who brought a sign to the show that ended up in VanderWaal’s dressing room. The structure of the Darling’s Waterfront Pavilion has changed a bit from previous years, with two entrances now available (one for pit and seated areas, one for lawn seats), and with a newly landscaped concourse area boasting more bathrooms, an additional VIP area and many more eating and drinking options. Imagine Dragons is one of two concerts set for the venue this weekend; on Saturday night, hip hop artist Logic with guests Kyle and NF will take the stage. Foreigner and Whitesnake are set for the following weekend, June 15.